You are currently browsing the archives for the tag 'manucure couture'. 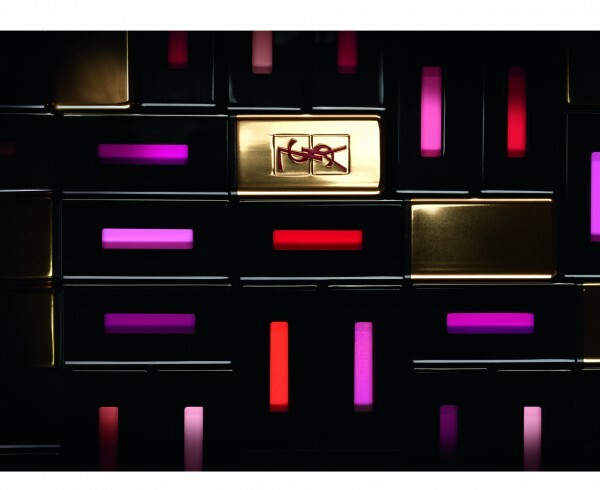 Today, I would like to introduce you to Yves Saint Laurent’s newest nail polishes duos Les Manucure Couture Les Fauves that are available now in four different combinations, only in selected department stores for CHF49 each. What looks like you just stepped out of a nail salon is actually quite easy to apply yourself and it is a lot a fun watching the effect happen. So how does it work exactly? 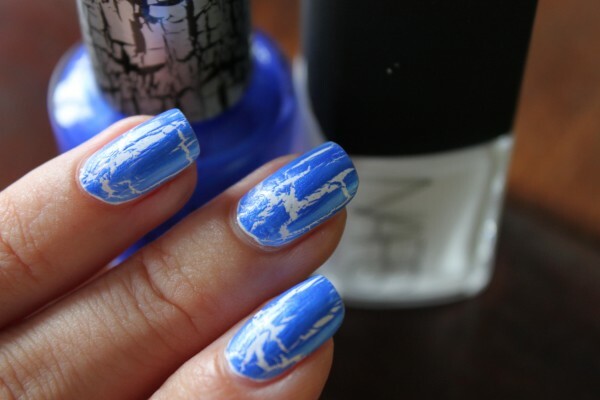 Shatter polish is a special top coat applied over your regular nail colour that gives a “crackled” effect on the finish. As the shatter coat is matte, you can apply a topcoat for a high gloss finish if desired. OPI was among the first ones to introduce the shatter polishes. Below you can see some of my favourite combinations. 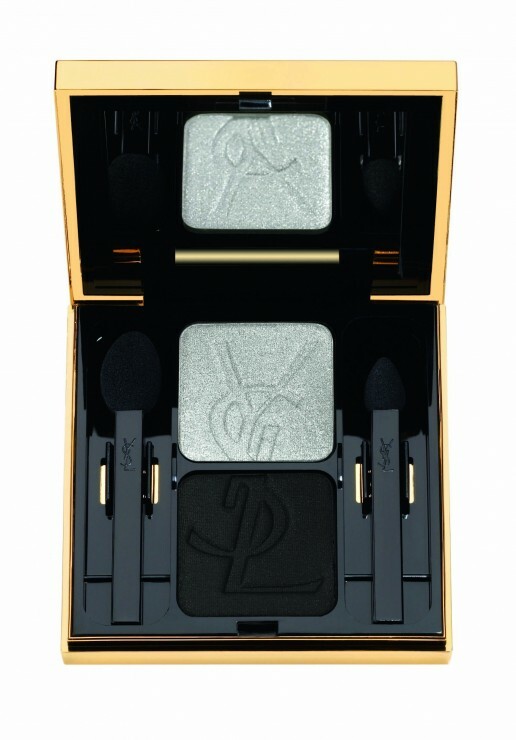 Yves Saint Laurent’s Spring 2012 make-up collection, created by Lloyd Simmonds, is called “Candy Face”. Those shades are so fresh and beautiful with melting textures and transparent effects that they seem sweet enough to eat! I am talking about sparkling sugar eyes, delicious cheeks and a gleaming smile. The gel texture is in osmosis with the skin. Impalpable, it forms a satiny veil, soft to the touch. 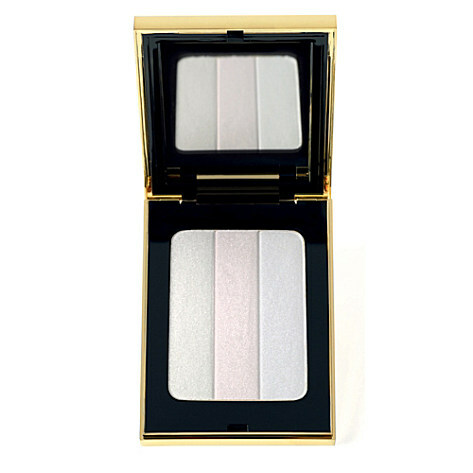 Ultra melting, it “plumps” the cheekbones with a sublime effect, CHF 43.-. A nail polish duo that can be worn alone or together as a colourful French manicure. The small bottles are great to travel with, CHF 49.-. A new revolutionary lip make-up. It is not really a lipstick, not really a lipgloss – and much more than a lip stain. 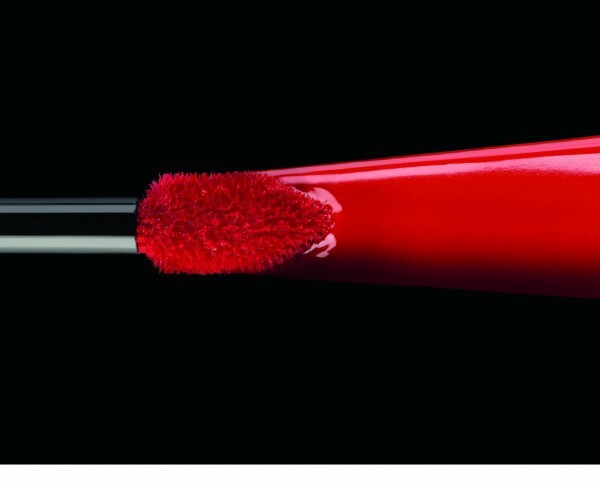 Rouge Pur Couture Vernis à Lèvres is a glossy stain. It comes with an applicator that is different than others providing you with a modern technology to keep your lips soft, coloured and sheer. The texture is new and not as you would expect it. Very light, not sticky, it just tints your lips with a coloured veil. Available starting this month in 19 shades, CHF 48.- each. 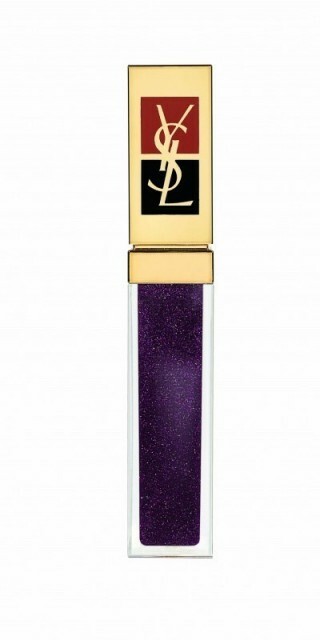 Introducing the Yves Saint Laurent “Holiday Look 2011”. YSL international make-up artist Lloyd Simmonds pays tribute to the Yves Saint Laurent tuxedo, the absolute garment in a masculine-feminine wardrobe, enhanced by a satin sash, a velvet lapel, a bow-tie. In doing so, he has recreated a new palette of seduction, placing the emphasis on expression, on the force of an attitude. Inspired by the tuxedo, the Palette Noir Terriblement and the Palette Blanc Terriblement both celebrate the emblematic spirit of evening clothes that move effortlessly throughout time. 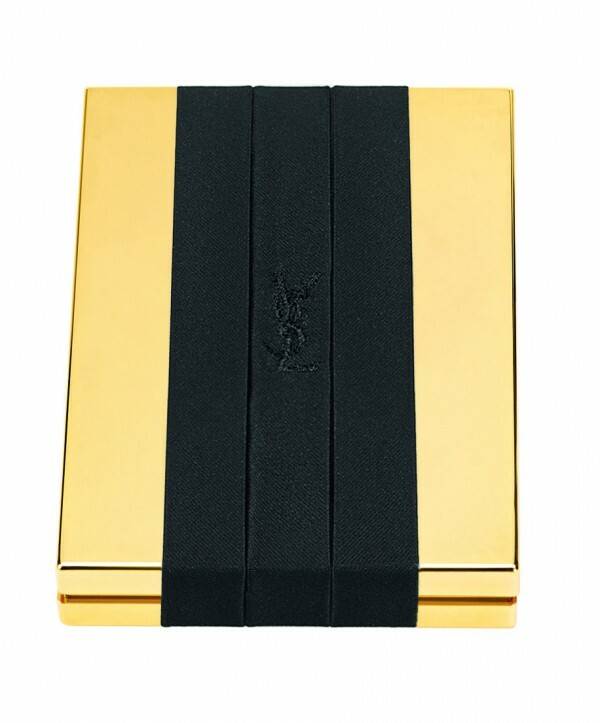 Nestling inside a beautiful gold case, adorned by a pleated belt and embroidered with the Yves Saint Laurent logo. It can be worn around the wrist like a bracelet, a nocturnal fetish. The black tuxedo. Eye Shadow in 5 colors. 4 variations of black and a shimmering white in the middle. Black velvet, black silk, black moiré, black lamé, white satin, fabric turning into eye colors in the magic of an evening where black is unveiled in a play on shadow and light. The white tuxedo. The complexion illuminator palette. Shimmering silver, shimmering pink, shimmering violet. Three white hues delicately lit up with precious pearls, catching the light like a magnet to give an absolute glow effect. Contrasts and highlights for sparkling eyes in two different colour combinations: Silver moiré / Black Flannel, Gold lamé / Velvet black. Make a show of style and colour right down to the fingertips. The hand becomes the most luxurious fashion accessory. 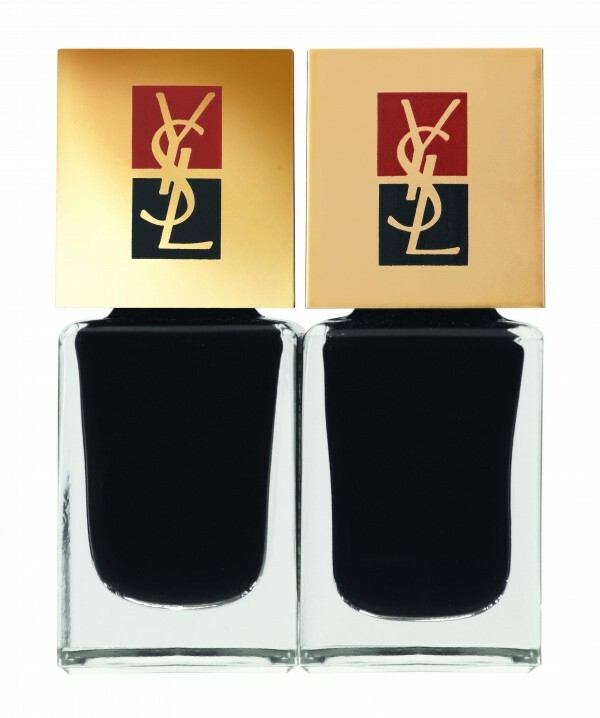 Yves Saint Laurent’s “Duo Terriblement Noir”: Two blacks. One matte and one glossy. An ultra–graphic feel for the season’s most radical, most ‘couture’ duo. A reprise of the contrasts of powder texture and satin lapels, they are complementary to give an ultra–sophisticated, infinitely black finish. Transparence and light, wear it alone or added to a lipstick to give a white gold shimmer on the lips. Available in: White Gold Diamond, White Gold Opal, White Gold Quartz, White Gold Amethyst 48 (pictured left), White Gold Topaz 47 (pictured right). 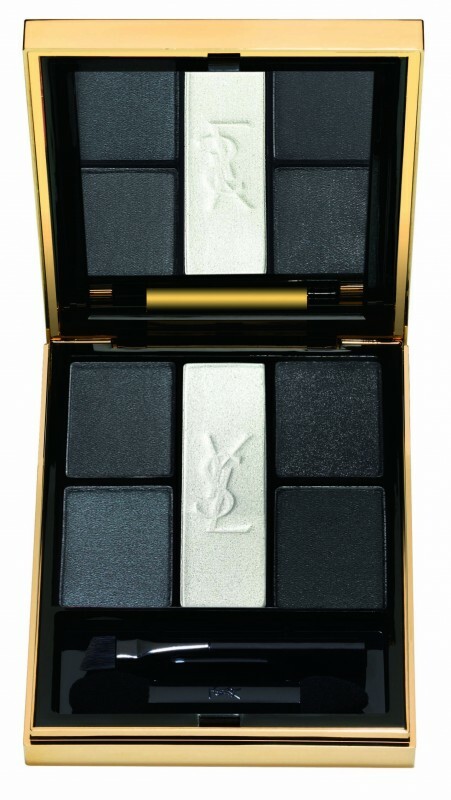 My beauty must-have: The limited edition palette “noir terriblement” for the perfect smokey eyes.